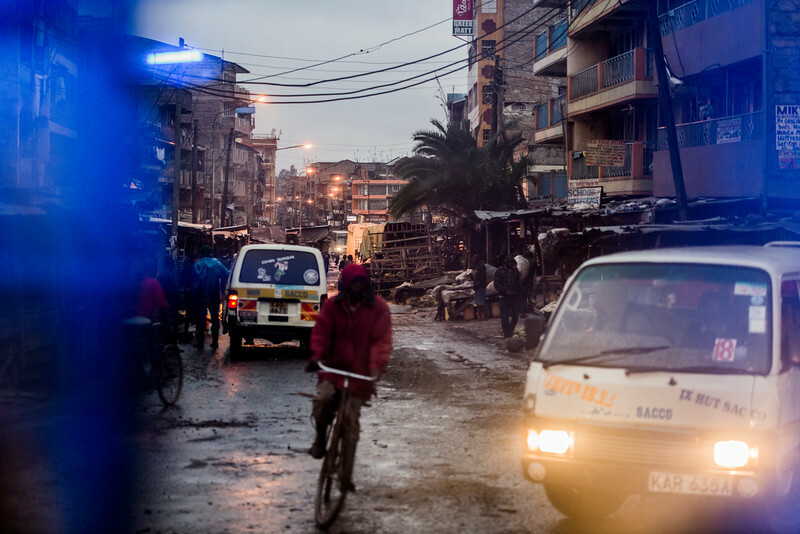 A glimpse into Nairobi's crime-filled Eastlands is a glimpse into the gritty side of Kenya, the side wild life tourists avoid and most non-governmental organisations are too timid to venture into. 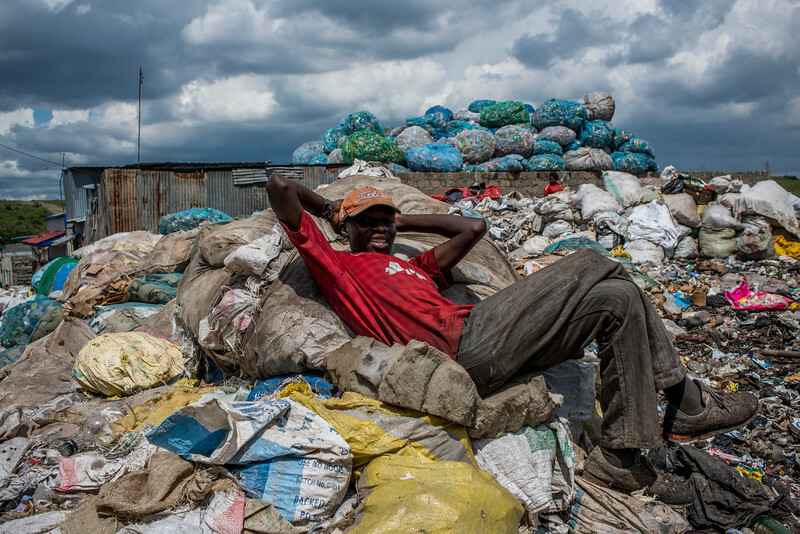 Victor Elvis rests on a pile of trash in Nairobi's Kayole slum on Thursday, May 14, 2015. 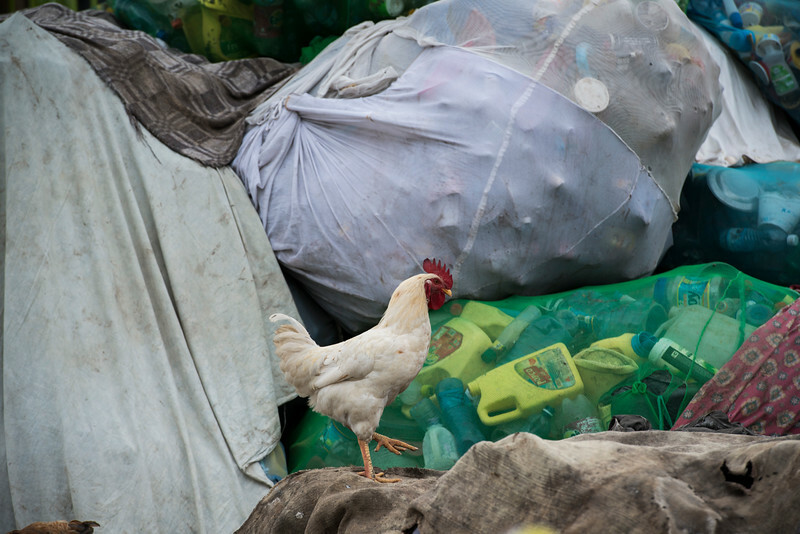 A chicken walks near trash bags in Nairobi's Kayole district on Thursday, May 7, 2015. Slum residents cut a living by collecting garbage, separating it and reselling plastics and metals. Food waste is fed to pigs that are later sold to butchers. 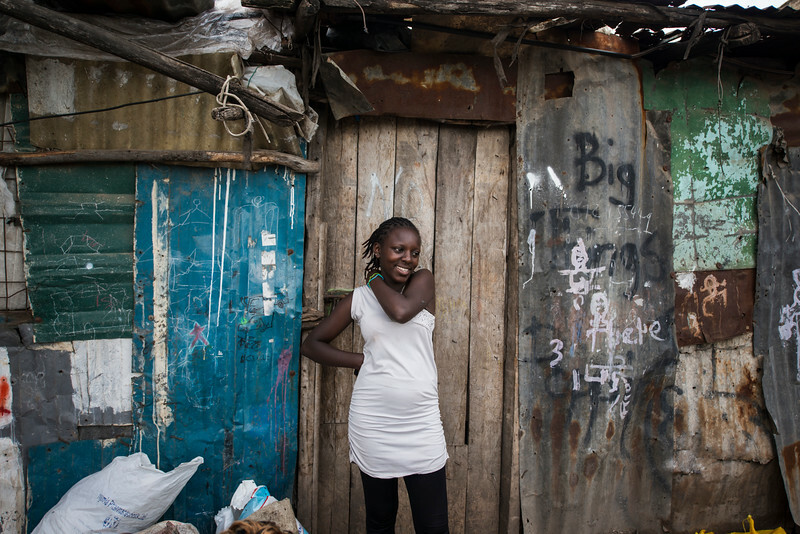 Caroline Nduta takes a break from sorting trash at the ramshackle recycling center in Nairobi's Kayole district on Thursday, May 7, 2015. Slum residents cut a living by collecting garbage, separating it and reselling plastics and metals. Food waste is fed to pigs that are later sold to butchers. 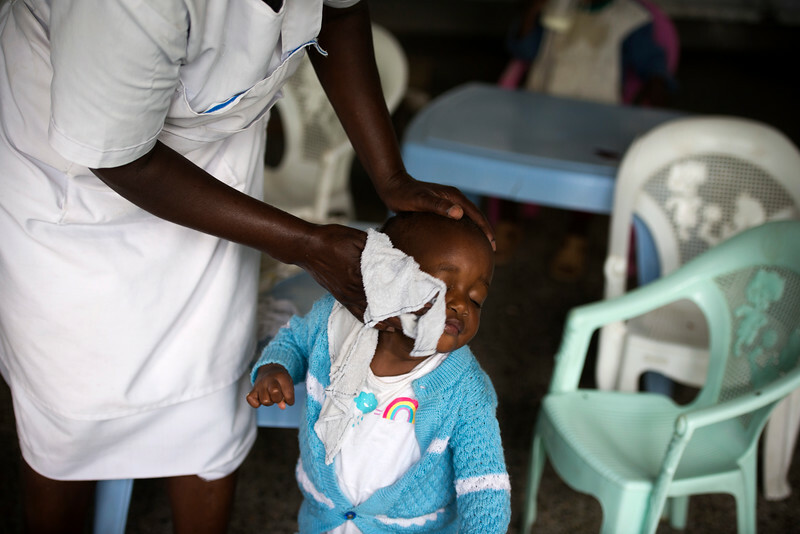 Talia Ilmani gets a wipe-down after lunch at the Ilmani Orphanage in Nairobi's Soweto slum onThursday, April 23, 2015. Babies who were left at the orphanage anonymously take Ilmani as their surname. 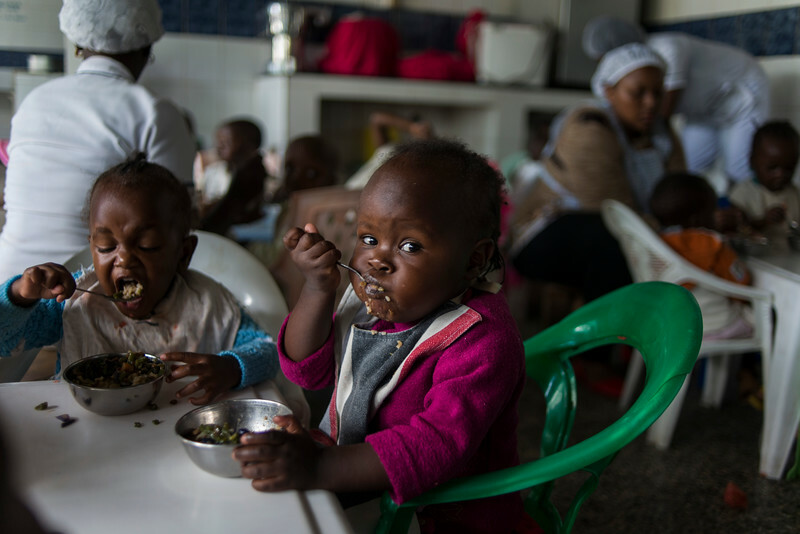 Gladys Ilmani and Cynthia Ilmani, left, scarf down a mix of lentils and beans for lunch at the Ilmani Orphanage in Nairobi's Soweto slum onThursday, April 23, 2015. Babies left at the orphanage anonymously take Ilmani as their surname. 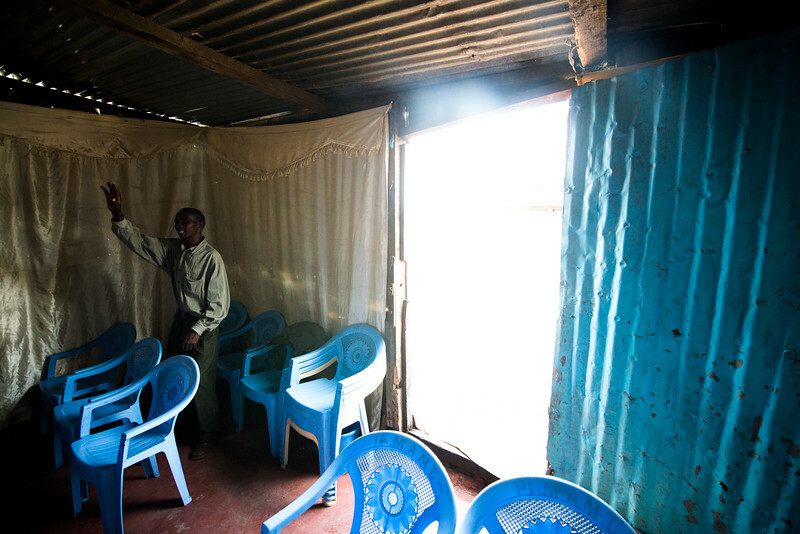 Benjamin Mwengu pray is the last to leave the Jesus Annointing Ministry Baptist church in Nairobi's Soweto slum on Easter Sunday, April 5, 2015. Many Kenyans, unable to rely on family or the government, look to churches for charity and a way out of poverty. 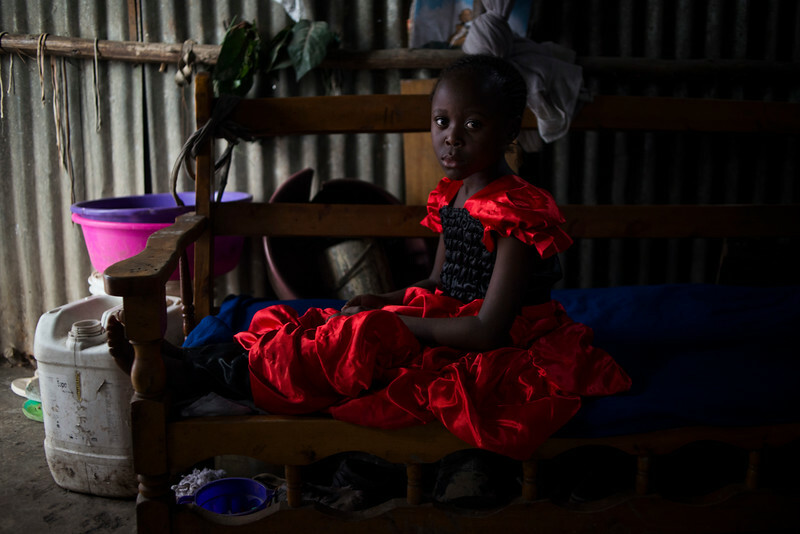 Ester Kaluki, 8, an HIV-positive girl poses for a photo in her Sunday church dress in her home in Nairobi's Mukuru Kwa Njenga slum on Sunday, May 17, 2015. According to local community health workers, prostitution, and a general willingness for men and women to lie about having the disease to avoid stigma, is the reason for the large number of new weekly cases. 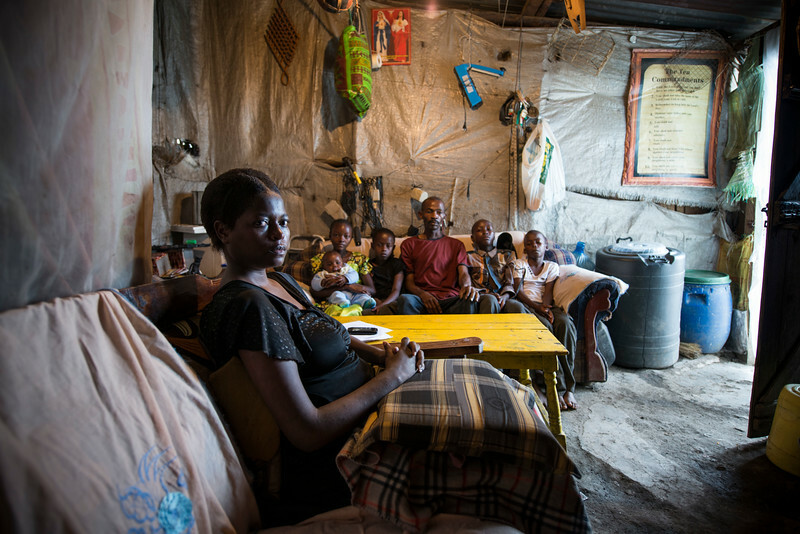 Mary Alice Kunzu poses with her family in her small home in Nairobi's Mukuru Kwa Njenga slum on Sunday, May 17, 2015. Since 2008, Kunzu has watched as paralysis spread through her arms and legs. Lack of money and the overall ability to travel has prevented her from finding a doctor who can diagnose her properly. 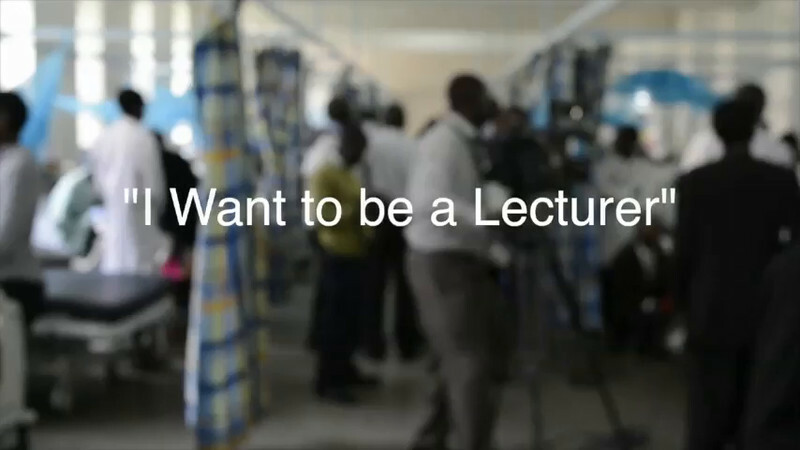 "I Want to be a Lecturer"
Garissa Massacre survivor Anderson Owalla describes his experience inside Kenya's bloodiest terror attack to date and promises not to let it defer his dream. 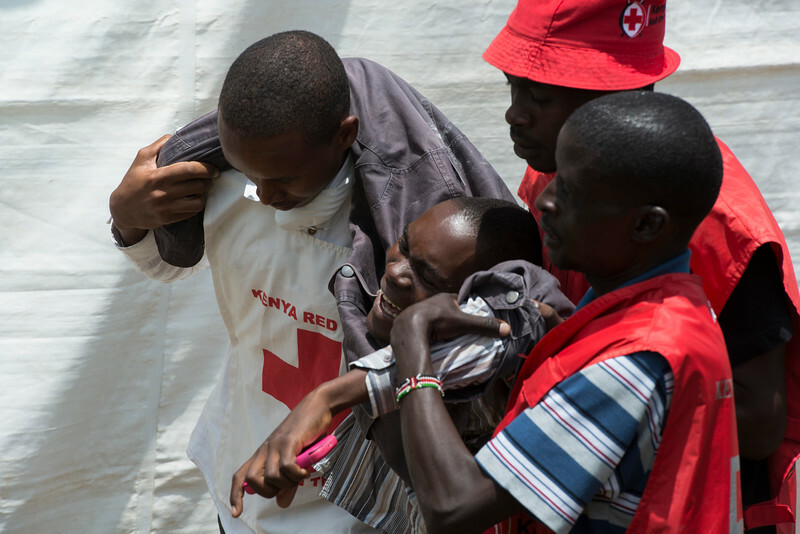 A man stricken by grief after viewing the body of a loved-one killed in Garissa terrorist attack is carried to a tent to recoup at the Chiromo morgue in Nairobi on Saturday, April 4, 2015. Over 140 corpses were shipped to Nairobi from Garissa to be identified by families. Early Thursday morning, Islamic extremists from al-Shabab attacked the dormitories at Garissa University College in northeastern Kenya. So far the body count is 147 but the number of casualties and missing persons still unaccounted for grows each day. 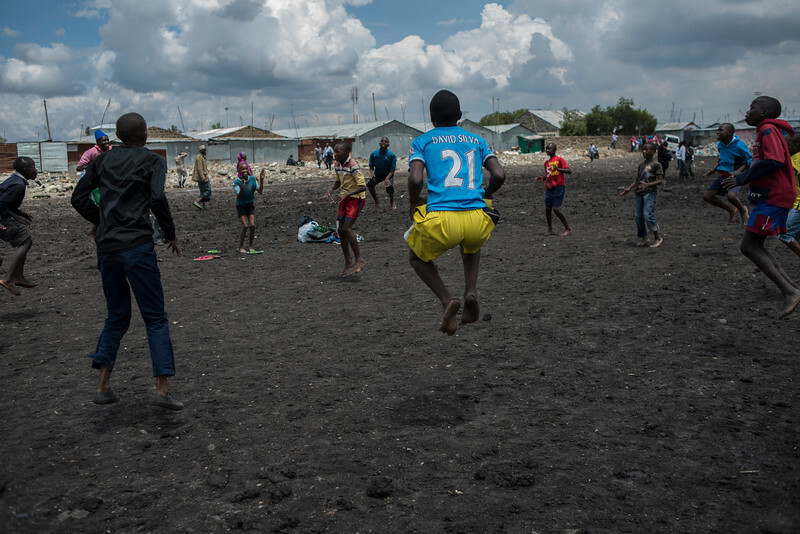 With their playing field flooded by spring rain, captain Brian Muge, 14, center, in red shorts, leads the Gateway Football club in training drills on a dry patch of Nairobi's Mukuru Kwa Njenga slum on Saturday, April 5, 2015. A cyclist navigates the muddy streets of Nairobi's Kayole district on Thursday, April 23, 2015. 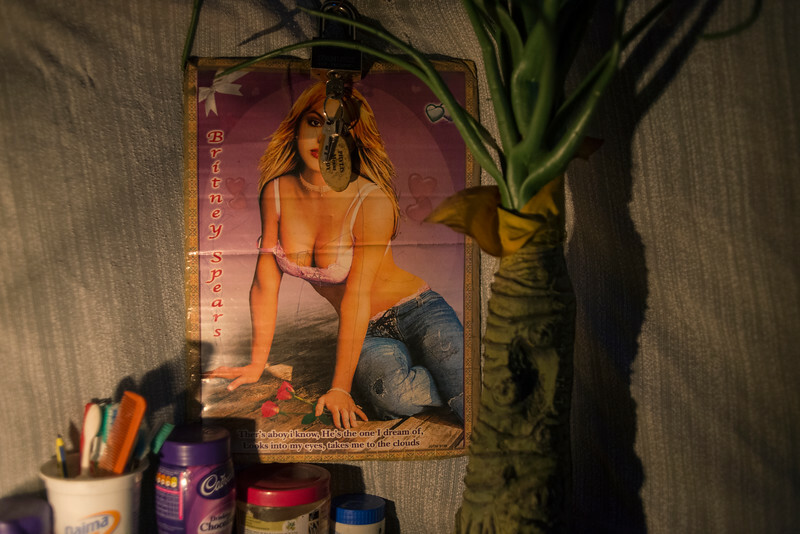 A Britney Spears poster hangs in Mary Muthike's ramshackle home in Nairobi's Mukuru Kwa Njenga slum on Thursday, April 23, 2015. Muthike prostitutes herself five days a week for less than $2.00. Like many other prostitutes in the slum, she was impregnated by a customer she can't remember.